David Wright injured his hamstring sliding into second base during the April 14th game versus the Phillies. 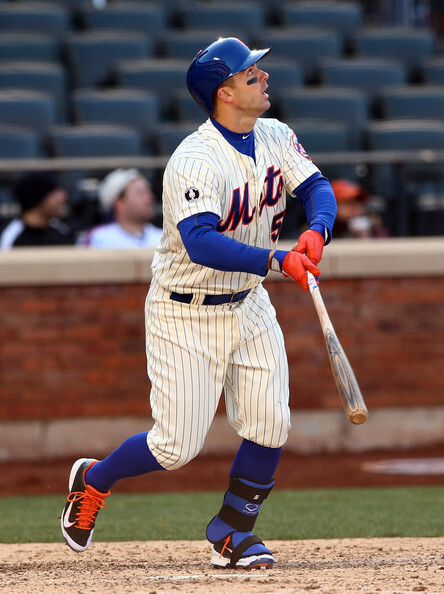 Wright needs to know that we need him for better things than stealing a base, and the good news is that the Mets will be able to tell him that in person as he expected to return from the disabled list sometime this weekend versus the Washington Nationals. David is eligible to come off the disabled list tomorrow, how ever it is expected to take a few days more. My expectation is that we will have him in full health by the Orioles series, I’m still not convinced if he will have him ready for gnome night (Saturday), but since Campbell is preforming above average at third, there is no need for him to “rush” back. With Wright back, the Mets could again have a very formidable lineup.